Manhole/service covers are seen by many riders as an object to avoid went out riding, as they are seen as offering less grip especially if worn or in wet conditions. As we have said previously, “It’s Not Rocket Science”, that non-slip solutions are available for metallic manhole or service covers. The questions are mainly multiple choice and should be completed in around 5 minutes, you may be part of a revolution in highway design leading to safer roads and a more pleasurable riding experience. Formed in 2014 by a team of experienced riders and road safety professionals the Riders Voice is fighting for improvements in Highway Design and improved Road Safety. 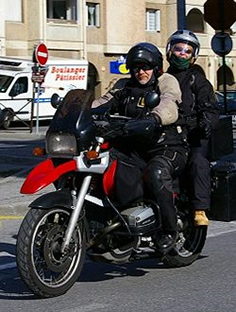 In the 2009 Right To Ride – Near Miss Accident Survey of Riders – 14.7% of riders said that that they had a near miss due to skidding, due to road furniture (e.g. 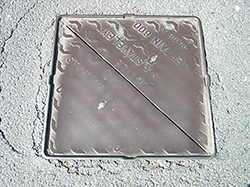 man hole/inspection cover). 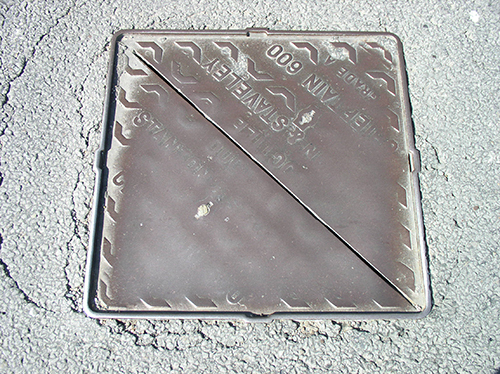 Physically there are options available to road authorities and agencies to improve and maintain a skid-resistance that stops manhole/service covers from remaining slippy. 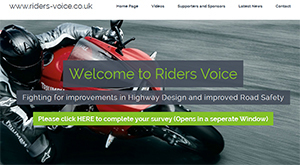 So if you have had an accident, whether involving a manhole/service cover or not, then take the “Riders Voice” survey. 1] was watching a video of so called safe riding where the commentator stated that riding over metal grids and manhole covers in the dry and in straight line were not a danger. In the wet it would be different. I beg to differ… many are in poor repair and have sunk …..some to an inch or more so the biker believes that the manhole is safe and then as he runs in to it, maybe at speed, the depression can cause the front or rear wheel to stray from its line and its a nearly off or worse. 2] I have pointed this out to the manufacturers of the coatings that even if the manhole cover is treated it needs to be in a colour other than the same as the surrounding road surface otherwise how can any rider determine if its a covered one or not. If the same colour as the road it may or not and one may have to avoid it whereas if coloured then it becomes more conspicuous as a safe one to ride over. The answer I got is whilst they don’t disagree with that suggestion ultimately its up to the local authority even though there would be no extra cost involved. You are right about so many accidents not being reported. I have had slow accidents where i have fallen off. one just the other week with some adverse cambers. I suffered no injury and little damage that was easily sorted but I would never consider reporting it. I further believe that in this age of bureaucracy and demands made by insurance companies anything that you mention to them will increase their premiums and cost an administration charge as well. Perhaps Speak Your mind can investigate this ludicrous situation where they have us by the short and curlies because we are required by law to have insurance. They are acting like bankers did some years ago make millions on excessive and ridiculous charges for no work or little work… even they can recover reasonable costs what they charge is excessive. If after the Giro d’italia crash, caused by a wet iron manhole cover, the authorities don’t understand how dangerous they can be, they never will. One council I’ve been prodding for several years about a subsiding, polished manhole on a bend and severe adverse camber has finally admitted it needs to be replaced, they tried sticky backed grip-sheeting that the buses simply ripped away, and avoiding the issue, sometimes you have to grind the b’stards down!